Scott Bennett, 31, was diagnosed with Type 1 diabetes in 1994, aged seven. He signed up to complete the charity’s Swim22 fundraiser, which encourages challengers to swim 22 miles, the length of the English Channel. However, he quickly decided to set himself an even greater challenge. Scott said, “I train regularly at the gym and play American Football, and have done a number of charity endurance events previously like the Three Peaks Challenge. I decided to set myself a new challenge to show that Type 1 diabetes won’t beat me and to help raise money to beat it instead. “I initially upped the distance to 44 miles but in the end, I rounded it up to 50 miles- double the length of the shipping lane between Dover and Calais. I did a couple of practice swims to make sure I could complete the 1.4km I was planning to complete daily. Scott completed the 50 miles between 22 February and 14 May at the Laguna Health and Spa in Cardiff and at the Rhondda Sports Centre, spending a total of 34 hours and 40 minutes in the pool. He has so far raised almost £700. Type 1 diabetes is a lifelong condition that affects around 19,000 people in Wales. People with the condition don’t produce the hormone insulin, which controls the amount of glucose in the blood, so they must receive it via regular injections or via a pump. Nobody knows what causes Type 1 diabetes and it isn’t currently preventable. Physical exercise can impact blood glucose levels, meaning people who have Type 1 diabetes must manage their insulin before, during and after exercise. Scott continued, “I use an insulin pump and normally test my blood sugar levels around five times a day. I kept a close eye on my levels and how they responded to the increase in exercise, so I could adjust my insulin as required. To begin with I ate a couple of jelly babies before swimming, but my sugar levels would be very high afterwards. Once I stopped eating them beforehand it was easier to get my sugar levels down to a normal range. 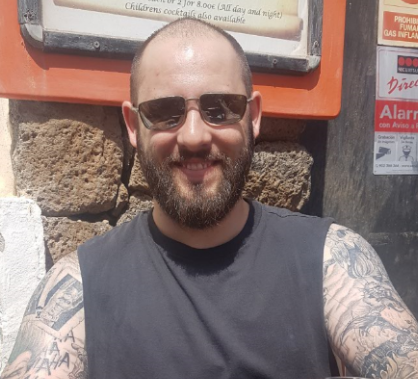 Joseph Cuff, Fundraising Manager, Diabetes UK Cymru, said: “Scott has gone above and beyond our Swim22 challenge, completing more than double the distance to help us help us support others living with Type 1 diabetes across Wales.